This website ranks consistently in the top 5-10 on Google for GP tutors/tuition. Interested to have a link to your website here? Contact webmaster at stevenooi18 @ yahoo.com (remove the spaces). Never fails to make you think. A thought leader worldwide. An online-only Singapore newspaper. All content is free. Highly respected newspaper from Hong Kong which provides some of the most independent coverage on China. Access to it in China is restricted. An outstanding magazine of impressive intellectual rigour. Articles are very challenging to read but provide top-notch training for your reading skills and intellect. 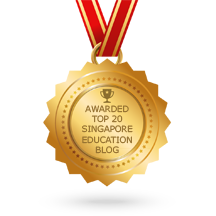 Hi Steven, do you provide tuition for secondary 2 students all the way to Sec 4 O levels. Could you please contact me re tuition for O Levels 2015. You can whatsApp me 9679 6464.